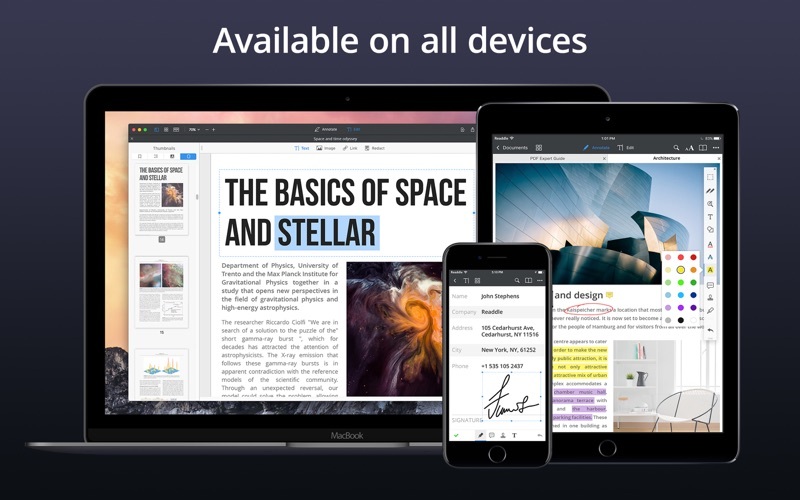 Fast, robust and beautiful PDF editor for your Mac, iPhone and iPad. "PDF Expert 2 review: Goodbye Preview, hello affordable PDF editing on Mac" - Macworld. “App of the Year” 2015 Runner-up by Apple. 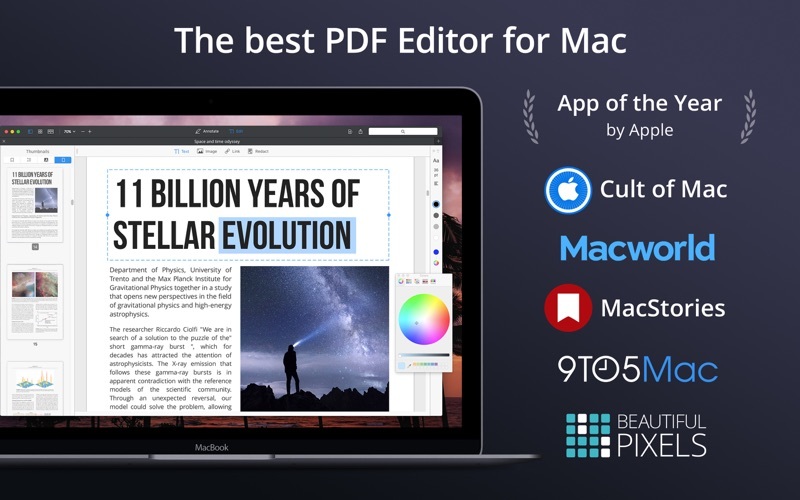 “PDF Expert puts Adobe Acrobat to shame” - Cult of Mac. 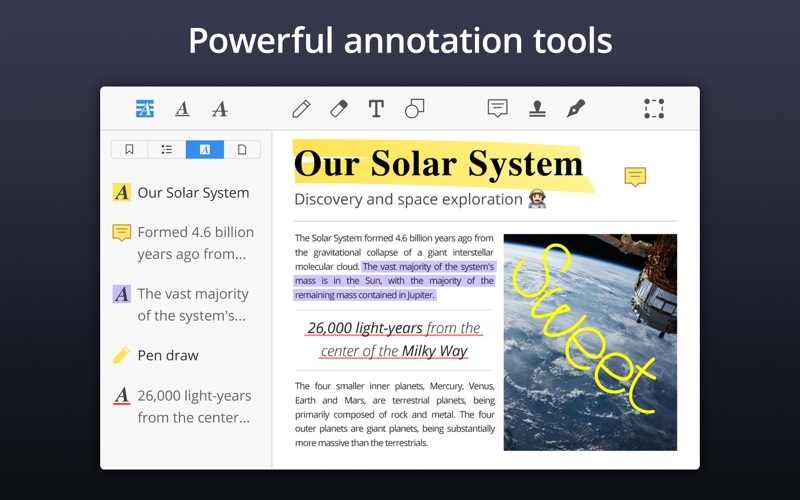 Read, annotate and edit PDFs like never before! PDF Expert is the best way to edit PDF text, images, links and outlines. Fixing a typo or changing a logo in a contract, or updating your CV is now a matter of a few seconds. From the first document, PDF Expert springs into action with smooth scrolling and fast search. PDFs open instantly, whether they are just small attachments or 2000-page reports. 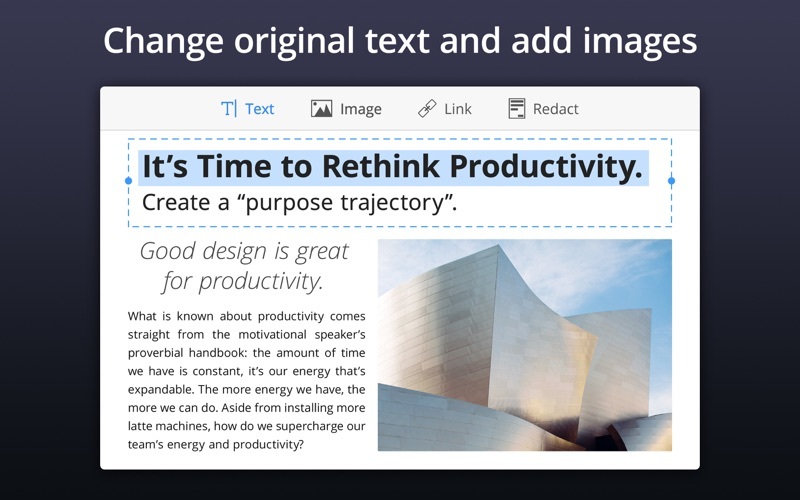 *Edit - Seamlessly edit PDF text, adjust or replace images, add links to text and edit outlines. * Convert – Convert to PDF such popular text formats as Word, Pages, Docs, etc. ~ The feature requires Pages or Microsoft Word apps to be installed on your Mac. You don’t work in a bubble, and neither does PDF Expert. When it’s time to send documents to clients, coworkers, and everyone in between, PDF Expert has top-notch support for your Mac’s system-wide share sheet and other apps. 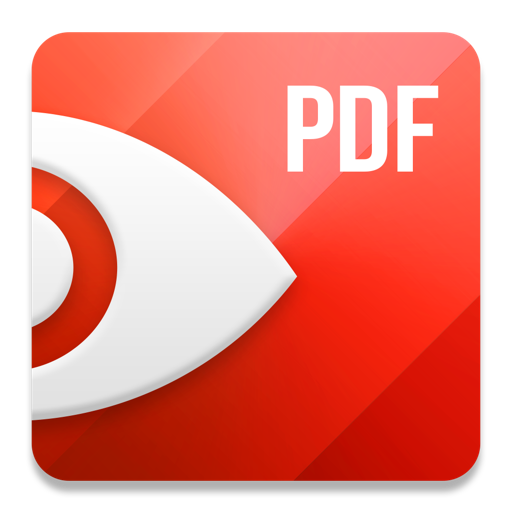 If an app accepts PDFs, PDF Expert can get it there. You can also password protect sensitive documents before sharing them. Work across Mac, iPad, and iPhone. 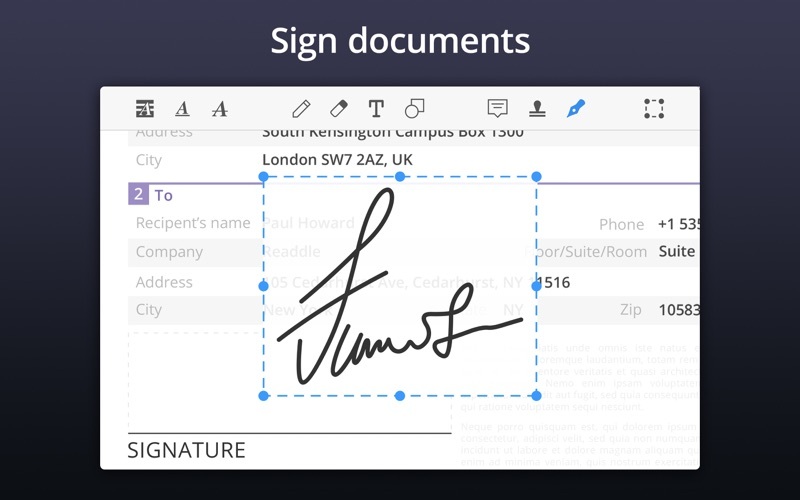 Use Readdle Transfer features to seamlessly switch devices in the middle of a document. PDF Expert is there with you. Today’s update brings you a very important fix for .doc/.docx and .pages conversion issues on macOS Mojave. Thank you to everyone who took the time to write to rdsupport@readdle.com with tips and hints to help us track down the issues. We hope you like the update. If you do – please leave us a review! 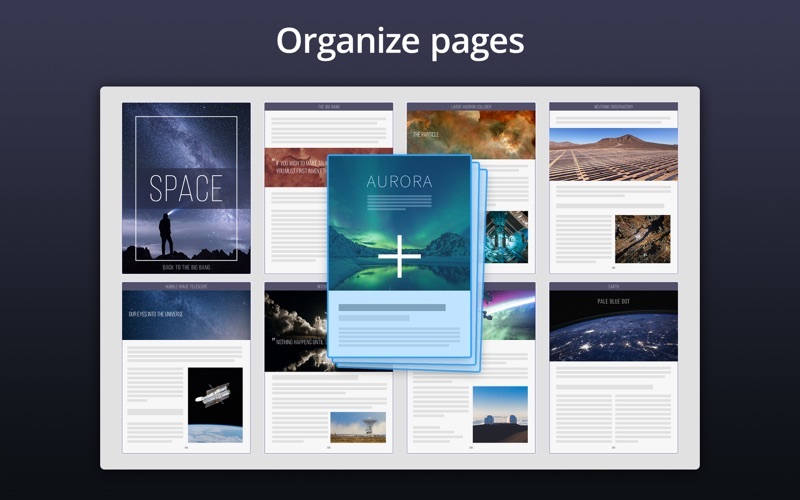 PDF Expert 2.2.1 is a giant leap towards a perfect PDF Editor. The update gives you state of art text editing, 100x better search and a handy toolbar layout. PDF Expert is the best way to edit text, images and links. 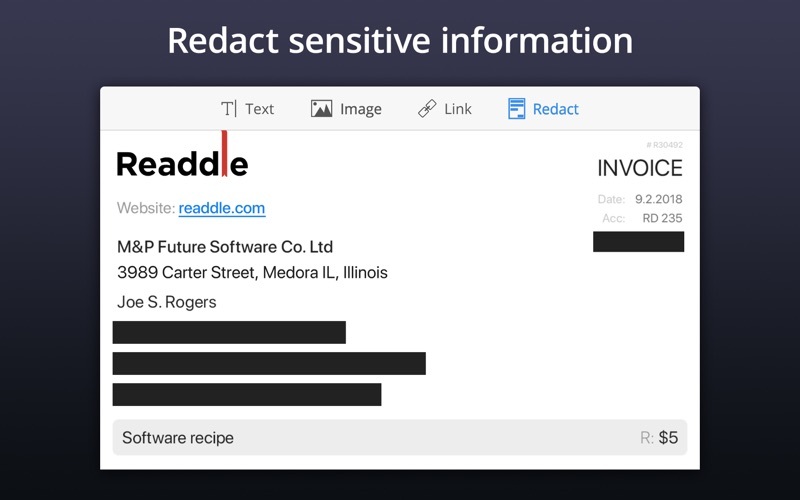 It will automatically detect the font, size, and opacity of the original text so you can edit PDFs like regular text documents. The toolbar layout brings your reading experience to a new level. 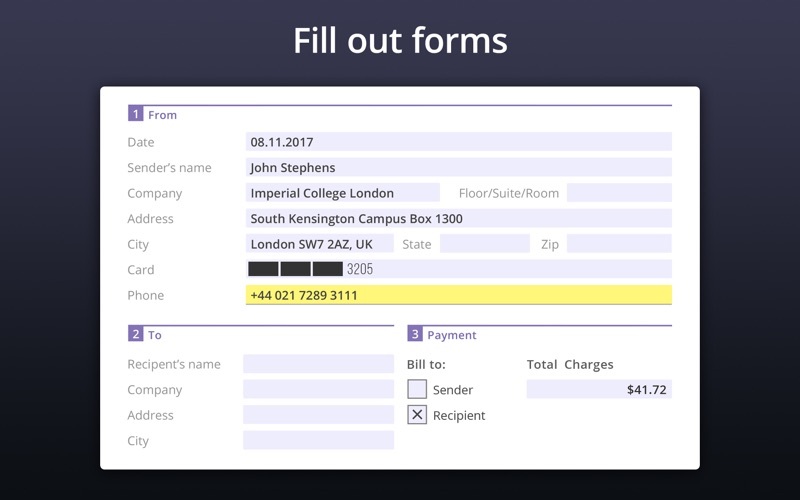 Whether you compare contracts or read an article, select the most relevant layout to quickly accomplish your task. You can instantly search through all opened documents at the same time and compare results. Remember all the things with search history for even better search convenience.